Today we’re rounding up some of our favorite Halloween looks featured here on the blog, which we hope will either offer you fresh inspiration or kick your decorating up a notch. We love this mantel because it is so versatile – it can work with a variety of tastes and decor preferences. 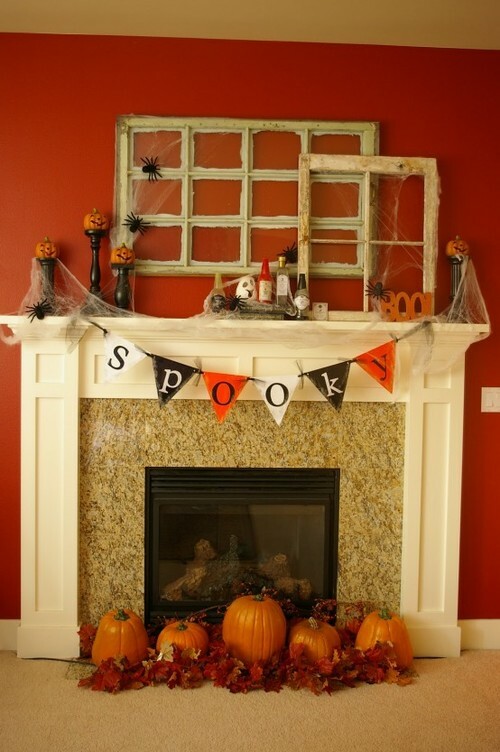 The banner can be DIY‘ed, the pumpkins can be painted or left in their orange prime, and faux cobwebs give the entire space a spooky charm – whether you have a farmhouse, Tudor, contemporary home, or anything in between! This space caught our eye because of the unique addition to the pumpkin – it’s both handmade and whimsical enough for Halloween. The table and pumpkins also serve as a reminder that Halloween doesn’t have to mean purple and lime green and orange overload. 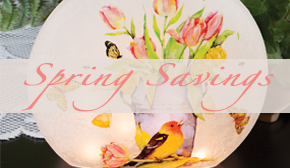 A simple color palette and subtle decoratives on a table or counter can be both stylish and seasonal. We love the idea of a candy bar for Halloween. Whether you’re throwing a Halloween party, preparing for trick-or-treaters, or just want something sweet within reach, a designated candy bar can be fun and, believe it or not, decorative. 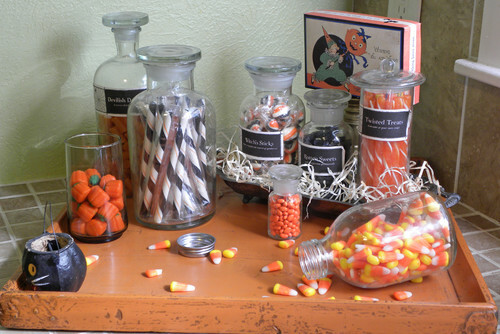 Use glass jars and a festive tray to make the colorful candy a little more sophisticated. 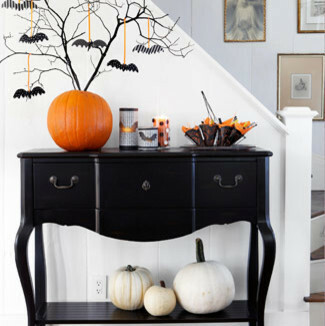 Find more Halloween decorating ideas and inspiration here, and share with us your tips for creating a spooky and stylish All Hallow’s Eve look in the comments below. This entry was posted on Thursday, October 18th, 2018 at 1:45 pm	and is filed under DIY, Decorating, Holiday Decorating, Seasonal Decorating, Thematic, Thursday's Theme. You can follow any responses to this entry through the RSS 2.0 feed. You can leave a response, or trackback from your own site.